Confession. I have been tagged in a writing blog tour, not once, not twice, but three times. IN THE LAST MONTH. By my beloved friends: the Irishman Luke Healy, Canadian lady Rebecca Roher and Alaskan artist type Joyana McDiarmid. And I am a total jerk who is very busy and important, so it has taken me weeks to do it. I probably shouldn’t even be doing it now because I have a million more things to do, but what the hell! WRITING. I do it. A lot. All the time. When I’m not talking about comics, posting about comics, editing comics or drawing comics, I am writing comics. Write now (haha!) I am working on (deep breath) a comics journalism piece about the best beer in the world, a history comic about the year 1914, another comics journalism piece about bears in Vermont and I’m always working on my weekly political history comic Little Big Politics. My genre is comics journalism, history or non-fiction comics – a genre represented by a tiny sect of weirdos in the global religion of pictures-in-tiny-boxes. These totally mad people do enormous amounts of research to ensure great accuracy in their entirely artistically biased representations of real life. If you think it doesn’t make sense, you’re probably right, but I kind of love it. I mean, I really love it. I think as an author/artist, my distinguishing features actually stem from a solid non-fiction writing background. I have a bachelor’s degree in history and political science, plus a graduate degree and something of a career in journalism. This means I’ve written a lot of non-fiction and journalistic pieces. Too many. Hundreds probably. I began my professional career as a junior journalist at Crikey.com – a website that takes itself far more seriously than it used to. It was tremendous fun working at Crikey in the late ‘Noughties and I suspect the tone of the site – silly, sometimes satirical, very tongue-in-cheek, yet informative on often really really dull subject matter, probably played a big role in how my own personal writing style developed. Also Bill Bryson has had a huge influence on my writing. I don’t know where I would be without Mr Bryson. My art style is not terribly unique. Plenty of cartoonists use watercolour washes to hide the fact they can’t draw (if I could whistle and look out the side of my eye here, I would. But I can’t whistle. True story.). I write do what I do because I love how weird reality is. I love research. I love human beings and the crazy stuff they do. I enjoy talking to them and retelling their stories. I love comics, because you can tell a person so much with an image. And I love exploring connecting ideas. movements and eras. My writing process is totally obnoxious. I read a ton of stuff on the internet first. Then I go to the library (university libraries are the best). There I read more. 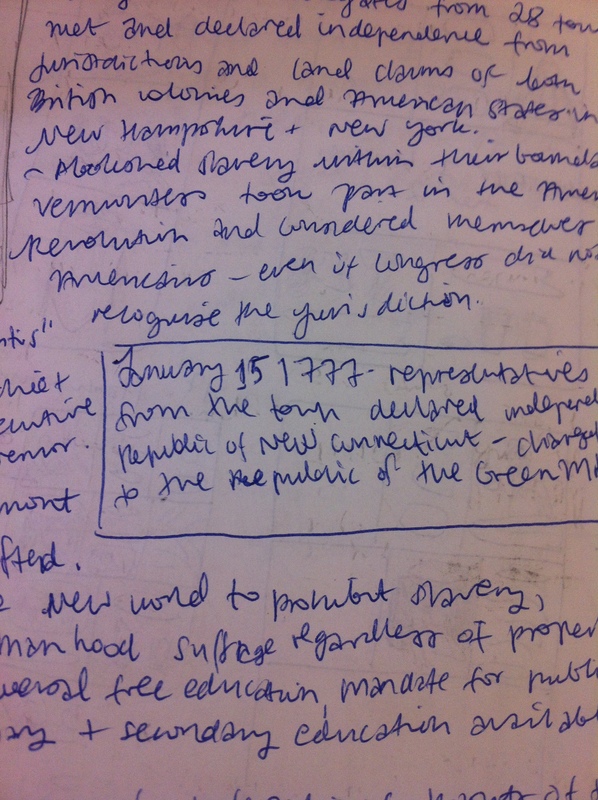 I make hundreds of illegible scribbles in notebooks. I tried to used Evernote because Andy Warner told me it would be super useful, but then he’s much more organised than I am, and so I SOMETIMES record what I’m looking at in Evernote. Then sometimes I interview people. I try to convince them to talk to me in person so that I can get photographs of them and also an idea of how they look. I record all my interviews, but I don’t transcribe all of them. Just the juicy bits. At this point I try to assemble something like an outline. Then I script using a style Jason Lutes taught me, which I’m pretty sure is actually meant for children’s books. 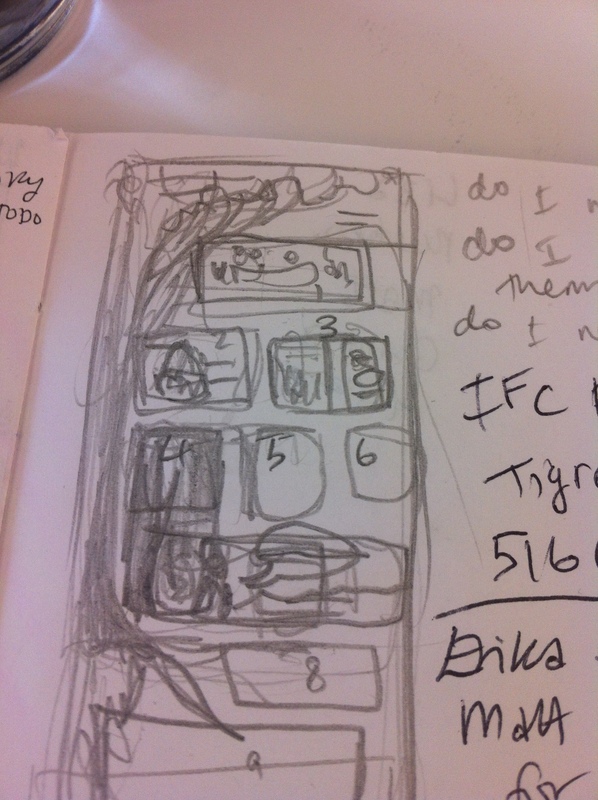 I used to draw thumbnails in the margins of my script, but these days I actually thumbnail two or three times. The first time is while I’m writing a script, the second time after the script is ‘finished’, then I edit to make everything run more smoothly and do final thumbnails of anything I changed. Then, when I actually draw my comics, I will often cut MORE text if I think it is too wordy or add things if it needs context.